I love reviewing products. This is one of those products I have used for years, and am thrilled to share with my readers. If you have children, you NEED Monkey Balm. 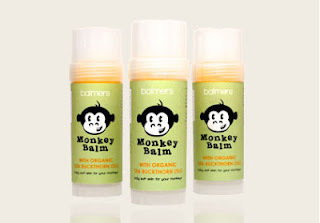 What can you use Monkey Balm for? In our house it is used for almost everything. It is a balm that is primarily used for dry skin and eczema. We initially bought it over a year ago because my daughter would get such dry cheeks when she was teething. When it cleared up her cheeks in days, my husband started to use if for his own eczema. Now we use it for sunburn, skinned knees scrapes, and any rashes that appear for any of the children. It is our go to product in the house and we have a tube of it in every room. It is a small roll up applicator that makes it really easy and mess free to use! It is made with Organic Sea Buckthorn Oils, and is safe to use on all ages. It also does not have a strong smell, so it is not limited to adult males or females. They did send me a free stick to review, but my opinion above is, of course, my own! 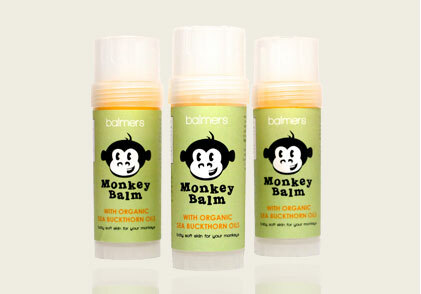 We love Monkey Balm here at JS Freebies, and we really hope you will too. Right now, they have a special offer-- buy 2 sticks and get free shipping!!! My youngest daughter's nickname is "Monkey"..she would think this item is just for her! We're an organic loving family, so this is something we should stock up on. Especially with skinned-summer knees! Thanks for sharing! I really want to try this stuff I've heard such wonderful things and you've solidified it for me! Great Review, and I love that its used for the whole family. If its good enough for your kids, it should be good enough for you, That's how I see everything I use on my son. I really want to try this now, great review and it seems like you liked it as well! We have eczema problems and this sounds like something that would work wonderful for that. Right now I have a patch on the side of my face that I have been battling for months. I think I need to buy some of this for that issue. Thanks! This sounds great! I can see some great uses for it in my house!